1. 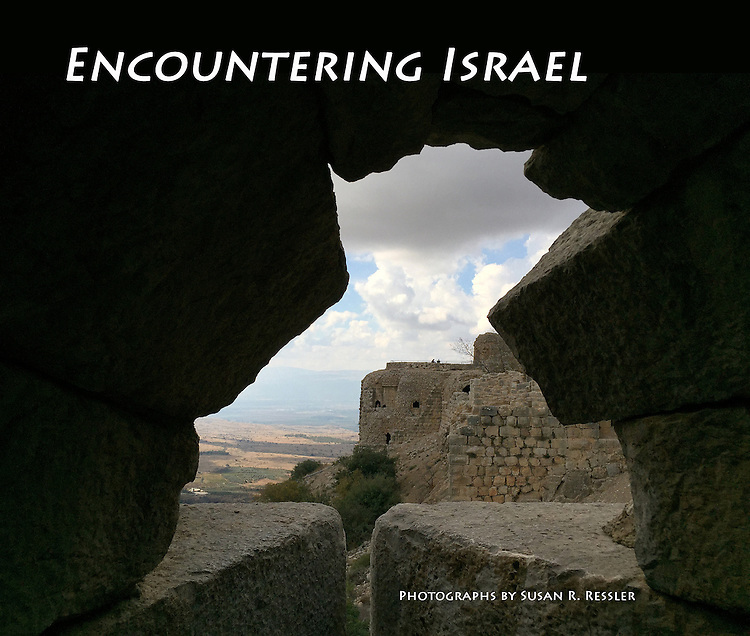 "Encountering Israel": portfolio and proposed book cover. Made at Nimrod Fortress, the largest Crusader-era fortification in Israel, Golan Heights. Built during the Middle Ages, high above the Hermon Valley to protect the road linking the Galilee to Damascus, its control changed hands during the 12th - 13th centuries from the Crusaders to the Muslims, who carved impressive Arabic inscriptions into its massive stones. When I made this image, I was looking through an embrasure, an opening designed for defense: to watch for enemies, launch crossbows, and hurl stones. As I looked from the darkness toward the light, I thought mightily about Israel's ongoing conflicts. I would soon plant the "Tree of Life" to honor my recently deceased parents, but on my first day in Israel, I was brooding about ancient battles and what the future might bring.